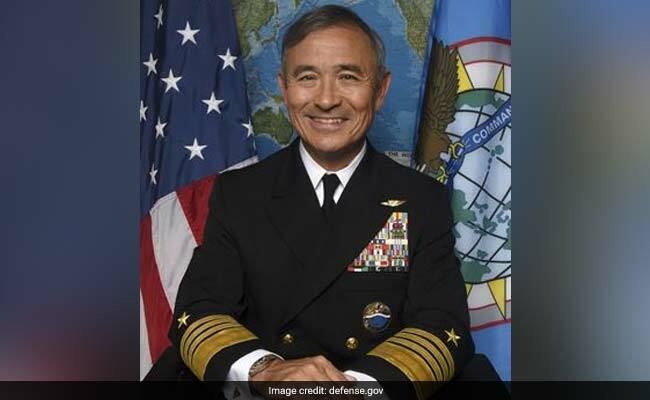 Admiral Harry B. Harris said that the Quad, comprising India, US, Japan and Australia is an important idea of like-minded nations that can go after the challenges in the Indo-Pacific region. Admiral Harry B. Harris, Commander of the US Pacific Command also told members of the Senate Armed Services Committee, that the Quad, comprising India, US, Japan and Australia is an important idea of like-minded nations that can go after the challenges in the Indo-Pacific region. In his prepared testimony, Mr Harris said the US and India are natural partners on a range of political, economic, and security issues. "I think India is the biggest strategic opportunity for the US. We share democratic values, we share the same concerns, and we operate more frequently in the Indo-Pacific region together, Mr Harris said. Noting that India will be among the US' most significant partners in the years to come due to its growing influence and expanding military, Mr Harris said as a new generation of political leaders emerge, India has shown that it is more open to strengthening security ties with the US and adjusting its historic policy of non-alignment to address common strategic interests. Mr Harris' comments came amid China flexing muscles in the East and South China seas. Mr Harris said the US seeks an enduring, regular, routine and institutionalised strategic partnership with India and the Pacific Command identifies a security relationship with India as a major command line-of-effort. "At the moment, India is considering a number of US systems for purchase, all of which Pacific Command fully supports: the F-16 for India's large single-engine, multi-role fighter acquisition program; the F/A-18E for India's multi-engine, carried-based fighter purchase; a reorder of 12-15 P-8Is; a potential purchase of SeaGuardian UAS; MH-60R multi-role sea-based helicopter; and F-35 Joint Strike Fighter," Mr Harris said. Responding to a question on Quad from Senator Tim Kaine, who was the 2016 Democratic vice-presidential nominee, he said that the Quad is an important construct of like minded nations. "I think the Quad is an important construct of like-minded nations that can go after the challenges that are in the Indo-Pacific region. So that's Japan, the United States, Australia, and India...The Quad is an idea. It's not rigid. It is not exclusive." "I think the Quad is an idea, and it's an important idea that I think the countries are starting to get their arms around, including the US. But India presents a great opportunity for us, and I think we present a great opportunity for India, Mr Harris said.